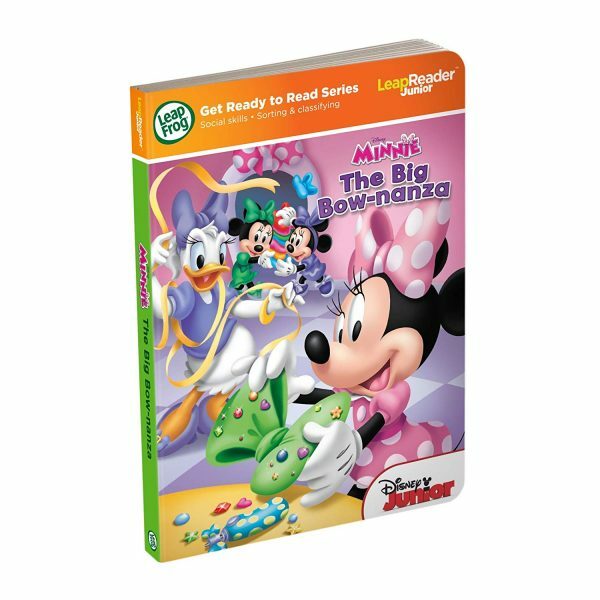 Today s the day of the Big Bow-nanza, but Minnie Mouse s Bow-tique is sold out of bows! Calling all helpers and bow enthusiasts. Today s the day of the Big Bow-nanza and Minnie Mouse s Bow-tique has sold out of every bow in the shop. With a little help from her friends, Minnie just might get her shop restocked in time for the big shopping event. 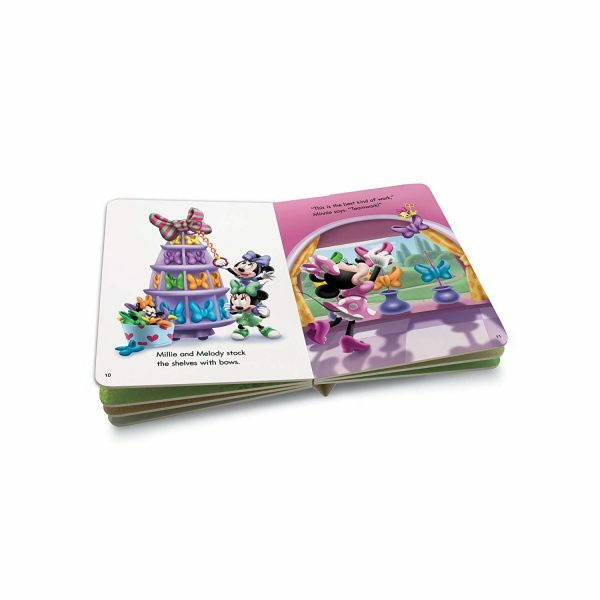 Join Daisy Duck, ClarKelle the cow, the twins Millie and Melody, and Cuckoo Loca as they use teamwork to save the day. Your little one can build early reading skills hearing the delightful story read out loud, plus engage in learning games that build social and memory skills and reinforce word meanings. 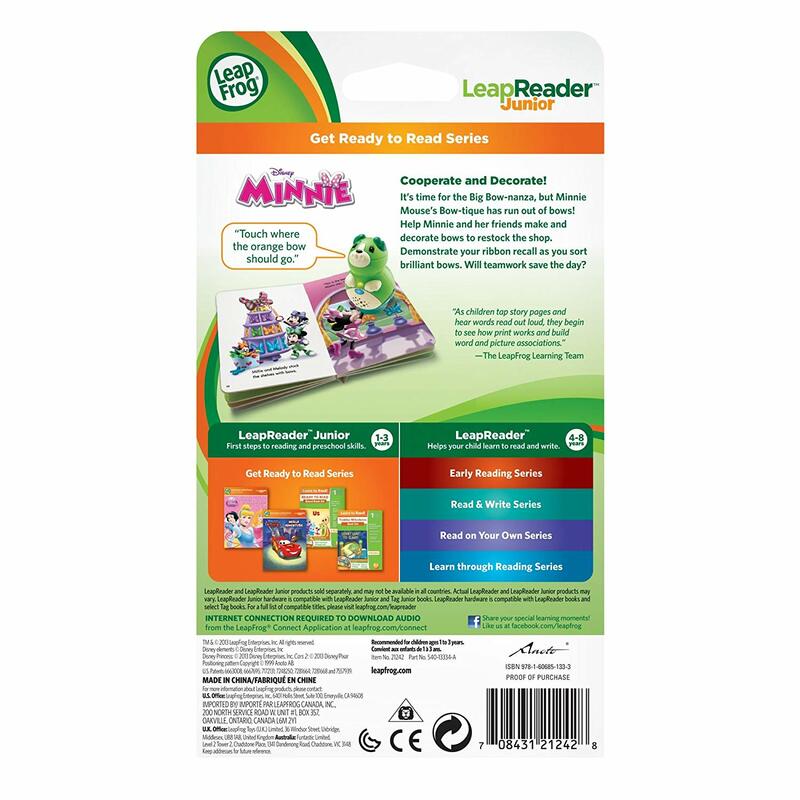 Works with LeapReader Junior Reading System and Tag Junior Reading System. Give a cheer for terrific teamwork at Minnie s Bow-tique! 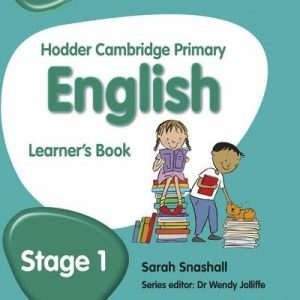 This Get Ready to Read book is one of more than 20 titles in the LeapReader Junior library. 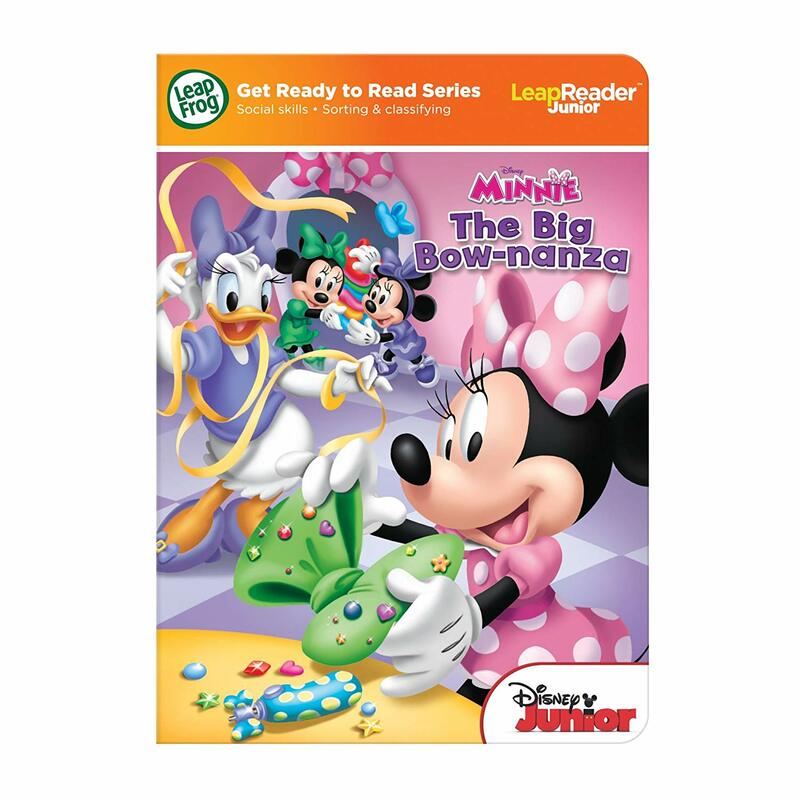 Minnie s Bow-tique uses beloved characters and an engaging story to introduce a core curriculum of Social Skills, Sorting & Classifying and Memory Skills. In a bow-making activity, young readers use memory skills to help Minnie make bows by listening to the bow description and touching on bows and buckets of paint in the correct order. The story provides a perfect context for teaching a range of social skills—from learning what it means to be a good friend, listening, noticing when a friend has a problem, and lending a hand to help when you can. Children can also build important sorting and classifying skills by matching and grouping bows by color and size. 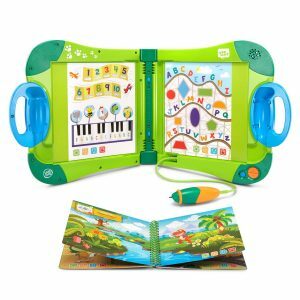 LeapFrog has created a learning and play environment that is developmentally-appropriate for children ages 1 to 3 years. Minnie s Bow-tique provides a curriculum rich in listening and observational opportunities in the context of a fun adventure. Your toddler is beginning to discover the wonder of books and how words and pictures on a page have purpose. 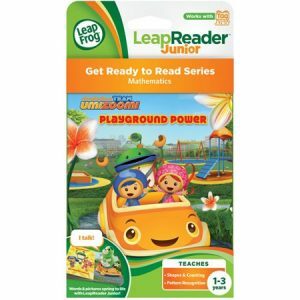 At the preliminary reading stage, it s essential for children to recognize that the letter marks on the page convey a particular message—the LeapReader Junior and Tag Junior reading systems (sold separately) have been carefully designed to foster this key understanding by allowing toddlers and preschoolers to touch on text and hear an instant audio response. Children can touch on illustrations to hear supplemental audio and amusing sound effects, too, which help associate books with fun. 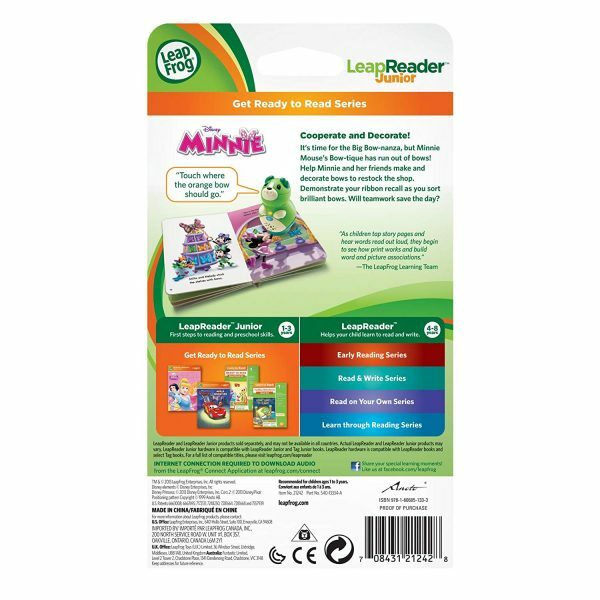 Designed by in-house educational experts, LeapFrog LeapReader Junior Reading System (sold separately) is grounded in the latest research for the richest possible learning experience. As a leader in educational entertainment, LeapFrog is trusted by parents to combine innovation with a breadth of play patterns to delight and expand learning horizons. 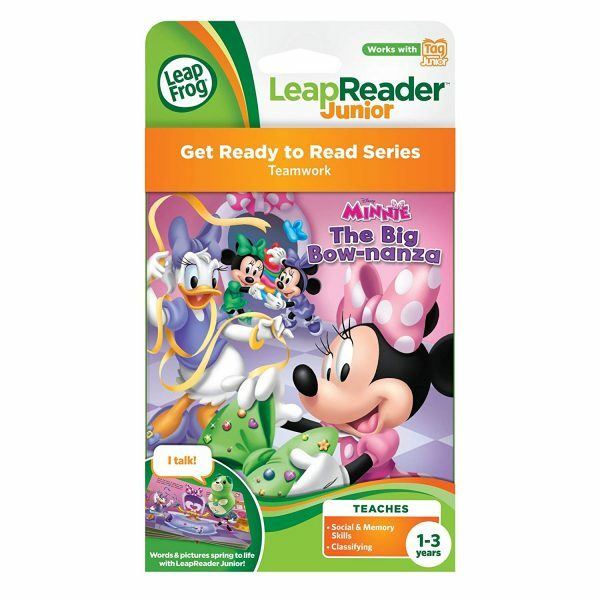 She loves Minnie Mouse and she loves to sit down and read books with the leapreader junior. 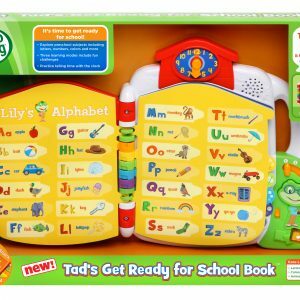 I hear her repeat words such as colors and shapes and even regular words so it is very helpful as is the whole leapreader junior system. Great book i recommend the book and the leapreader junior system.